One Colorado works on the following issues to advance equality for LGBTQ Coloradans and their families. In Colorado, many people struggle to gain access to the affordable, quality health care they deserve. 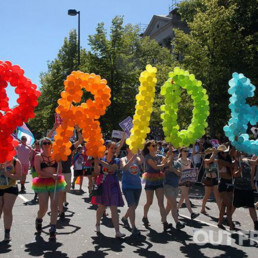 While LGBTQ Coloradans face many of the same challenges as heterosexual and cisgender Coloradans when accessing healthcare, they also encounter unique obstacles when trying to fulfill their specific health needs. 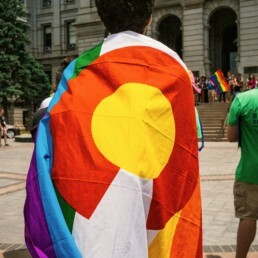 One Colorado works to remove the barriers that prevent LGBTQ Coloradans from receiving adequate and affordable health coverage and care, so that they can live happy and healthy lives. Schools are often places where LGBTQ young people don’t feel safe or included. In Colorado, 7 out of 10 students are harassed based on their sexual orientation. It is important that we work to build a climate across our state where LGBTQ students can be out, safe, and respected in their schools. Transgender Coloradans face unique challenges. Widespread discrimination, unemployment, homelessness, and violence are just some of the issues transgender people face on a daily basis. 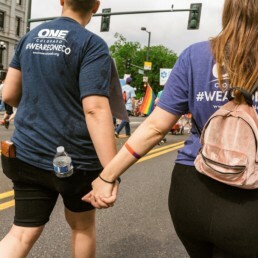 One Colorado is devoted to ending discrimination and violence against transgender Coloradans through education and advocacy on the state and local level. One Colorado leads the Freedom for All Coloradans coalition, which is coalition of businesses, faith leaders, conservatives and community organizations who oppose any measures to roll back our victories in the form of religious exemptions. Whether you are looking for information about your rights as an LGBTQ immigrant or just want to know your voting rights, One Colorado can help. We support the entire LGBTQ community, learn more about advancing your opportunities today.